IFC’s Stan Against Evil will be back for a third season on October 31st with eight new episodes! What can you expect from this hilarious series? We talked with the cast and creator at SDCC to find out! I unexpectedly found Stan Against Evil over spring break in March. At first I laughed at the absurdity of some of the situations, but I quickly found the heart of the show. While it’s funny, a little scary, and plain fun to watch, Stan Against Evil taps into deep emotions of loss and pain that are riveting to watch. In particular the protagonist, Stan, played by John C. McGinley, is incredible. He’s bristly and short-tempered. He doesn’t necessarily want to help save the world, but he’ll do it to shut everyone up and get them to leave him alone. He’s also in deep mourning after the unexpected passing of his wife, but he doesn’t quite now how to vocalize those emotions or work through them yet. Stan’s daughter, Denise, is hilarious and oblivious. Evie Barrett, who has taken over as sheriff since Stan’s retirement is determined and refuses to let Stan be satisfied with hanging back when he can do something good. Her deputy Leon is right up there with Denise on the funny meter. We were able to sit with the cast and creator at SDCC, and they had so much to share about the upcoming season, what they love about their characters, and the delicate balance of comedy and horror. 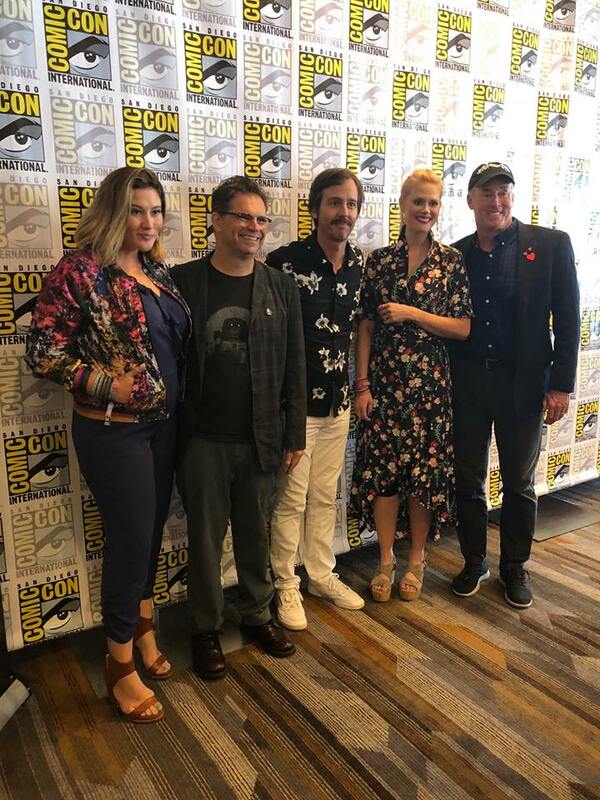 The series stars John C. McGinley, Janet Varney, Deborah Baker Jr., and Nate Mooney. With a few guest stars this season to add some kick including, Scott Adsit, Maria Bamford, David Koechner, Christopher Mintz-Plasse and Eddie Pepitone. Get caught up on the series by streaming season one on Hulu now. Season two will arrive on August 17th! You won’t regret it! Here’s your first look at season three! Stan Against Evil airs Wednesdays on IFC at 10/9c, starting October 31st!